I recover keys from broken pianos and give them new life. 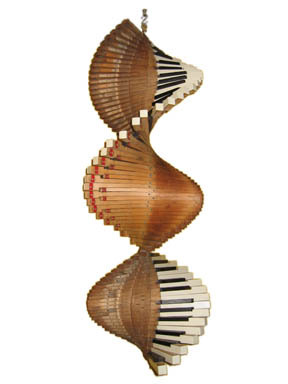 This hanging sculpture is from an old, English birdcage-action piano. It is 14lbs. Keys made by Sergeant and signed B. Maldy.